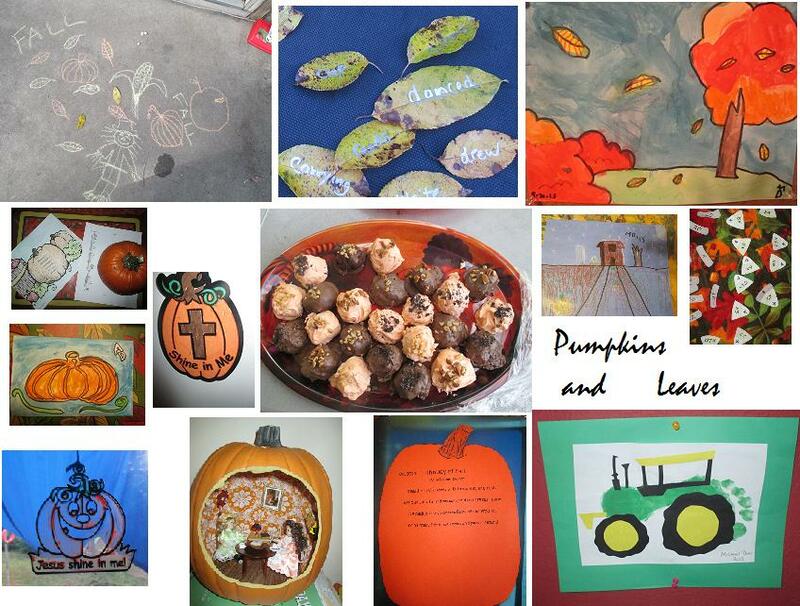 Crafty Monday Part 2: Fall Leaves and Pumpkins! 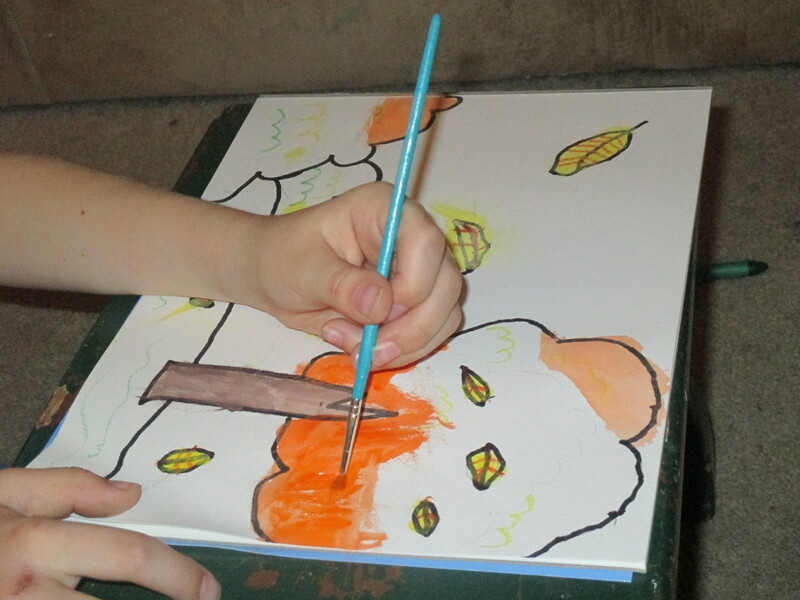 In this Post: Fall crafts for kids, a fabulous pumpkin diorama, and pumpkin truffles! 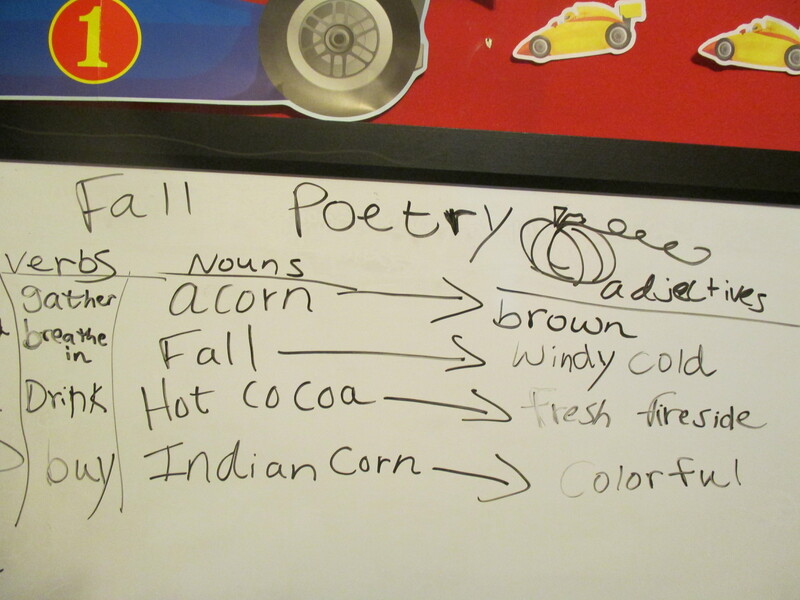 Also Autumn poetry and candy corn multiplication! Hello dear ones! I’ve combined the last two weeks of homeschool. 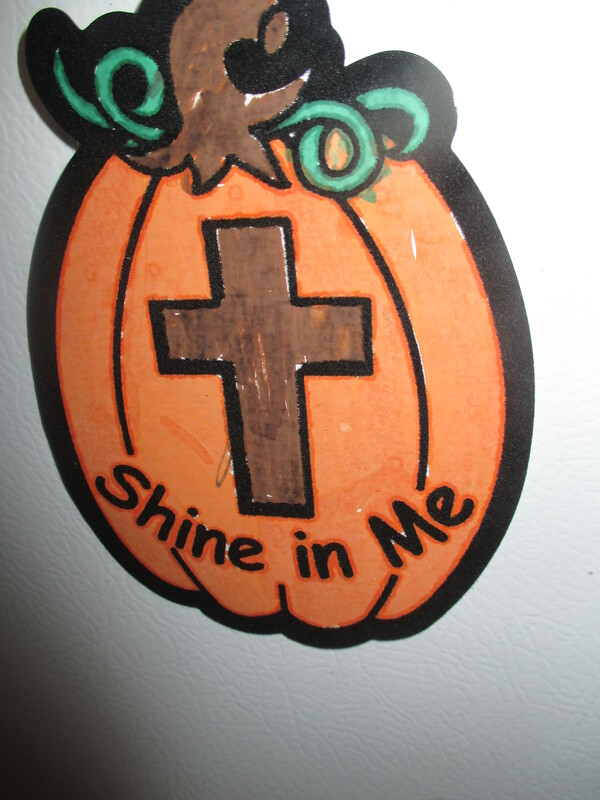 This is my second post about Fall crafts and general schooling. My first post was about our Historical studies. 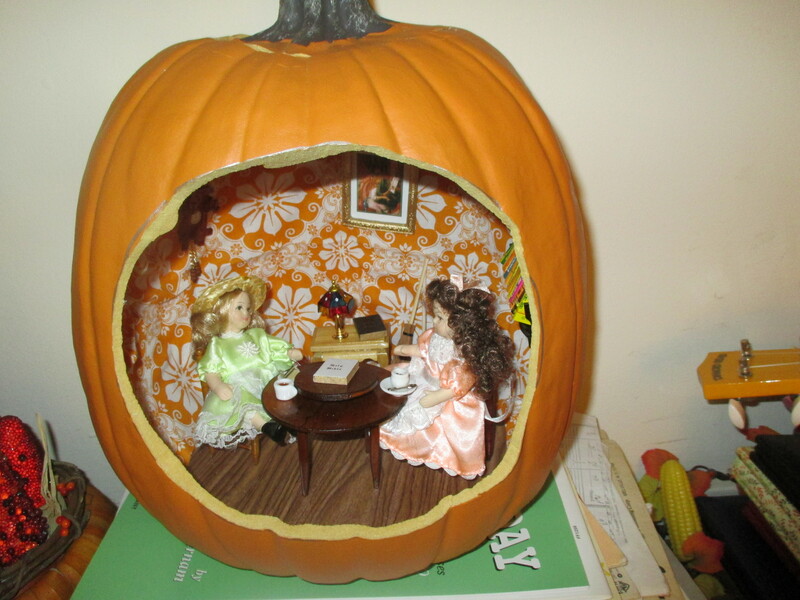 I’m excited to show you my lovely pumpkin diorama below. This is a fake carve able pumpkin. Chris made carved an opening. I glued fabric to the walls for wallpaper and put in contact paper for a wooden floor. I bought the cuckoo clock, painting, brooms, book shelf, Bibles, lamp, cake, and tea cups at Hobby Lobby. 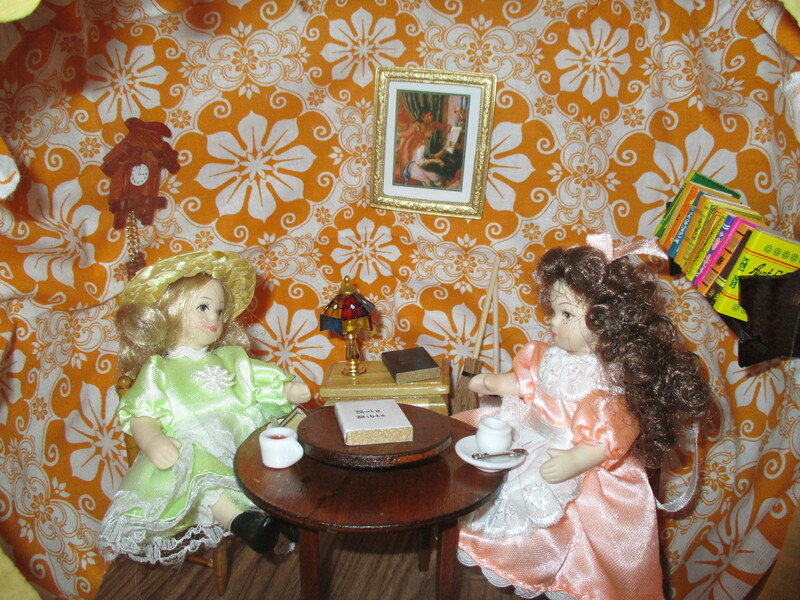 The tables and chairs came from my doll furniture collection. I already had the dolls. 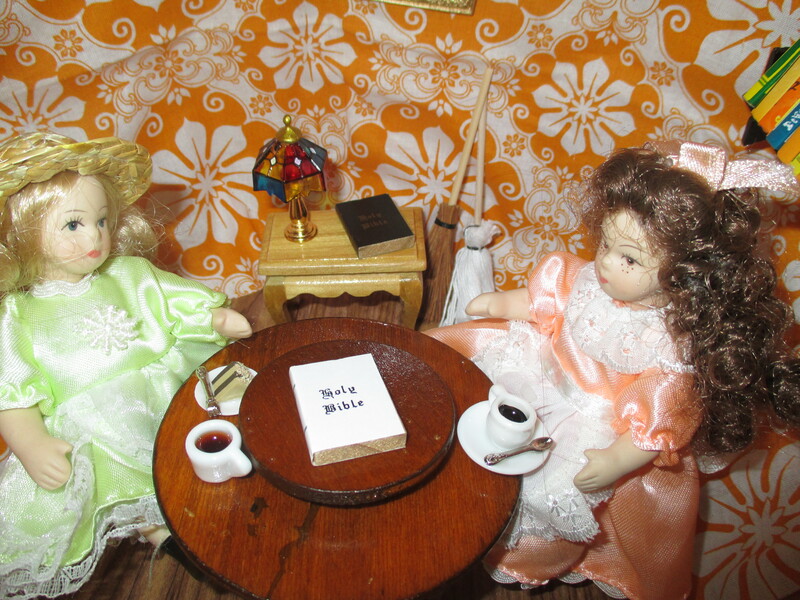 You can see the two lil ladies are having a Bible study :). I love making dioramas so maybe I will make more. We started reading “The Bridge to Terabithia” last week. It lasts three weeks, so I’ll do a post on it when we’re done. 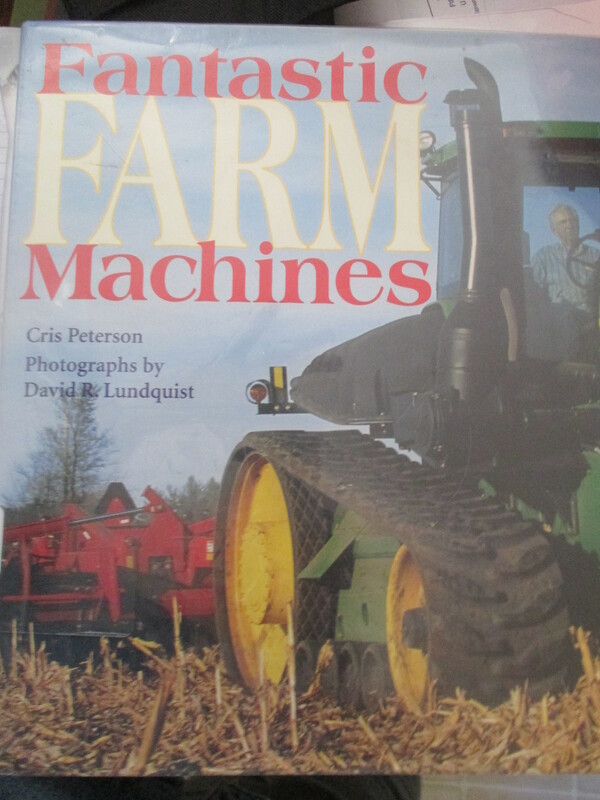 Meanwhile, in the spirit of the Harvest I read Michael a book about farm machines. It wasn’t my cup of tea but you know how boys go crazy over machines. Chris finally got his Jeep fixed which is wonderful since we had to replace a tire on our van and soon will replace another one. Our vehicles decided to get grumpy all at once. 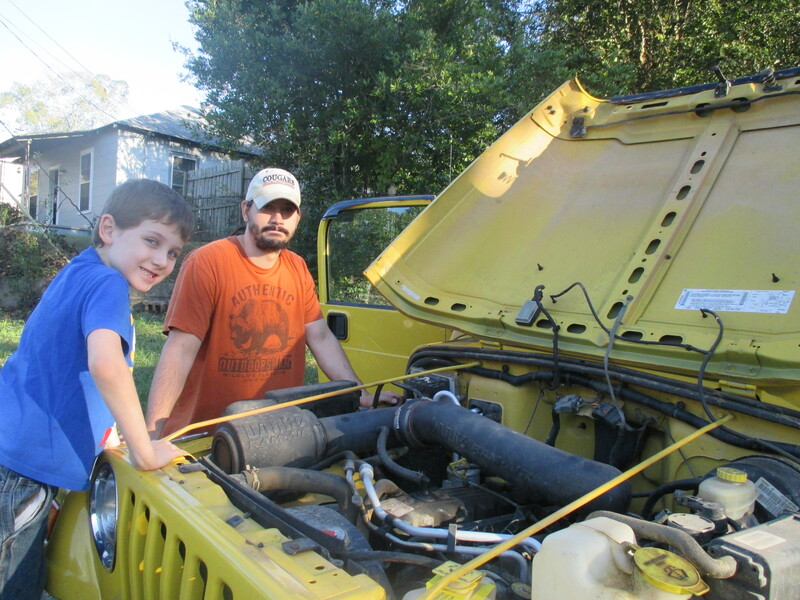 Here’s Michael helping his Daddy. I love my guys. Sometimes simple is best. 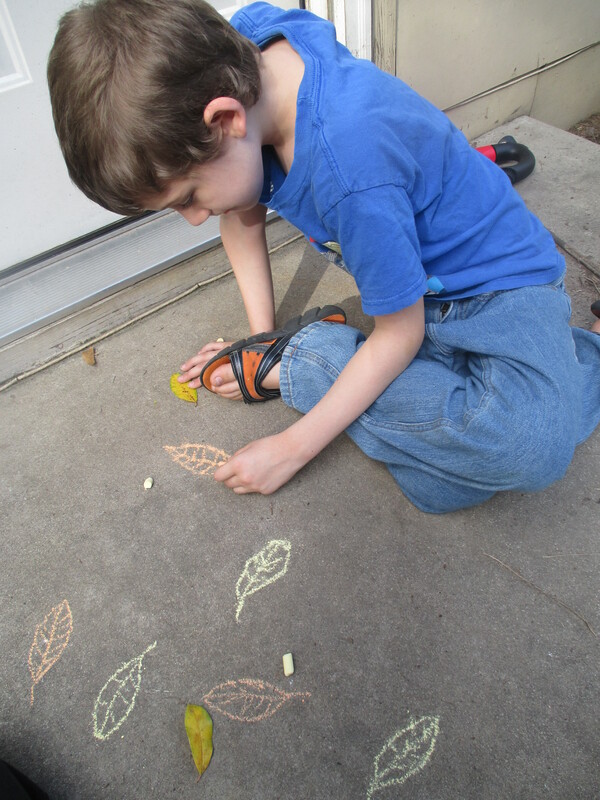 Here’s Michael tracing a leaf with chalk. This fall tree tutorial turned out well. 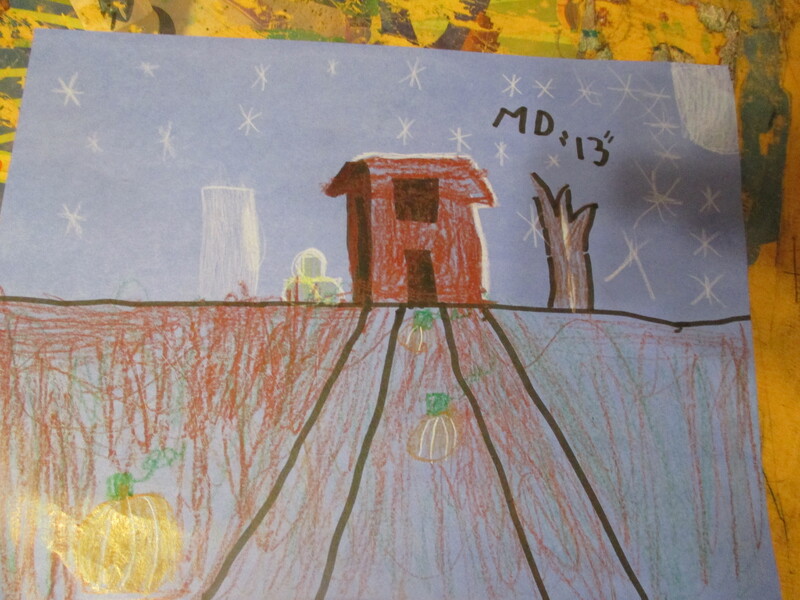 Michael learned a bit about perspective. 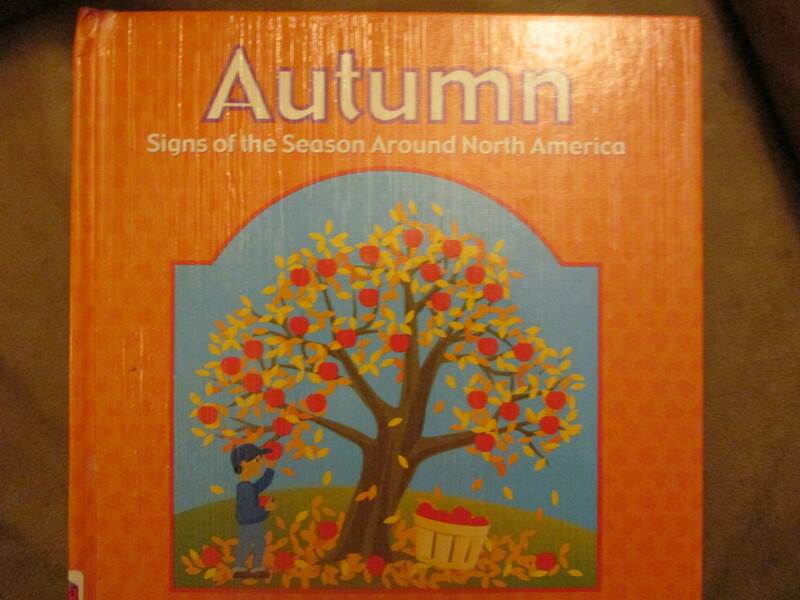 We read about Autumn around North America. Then we watched a video about Eagles gathering in Alaska during the Fall. 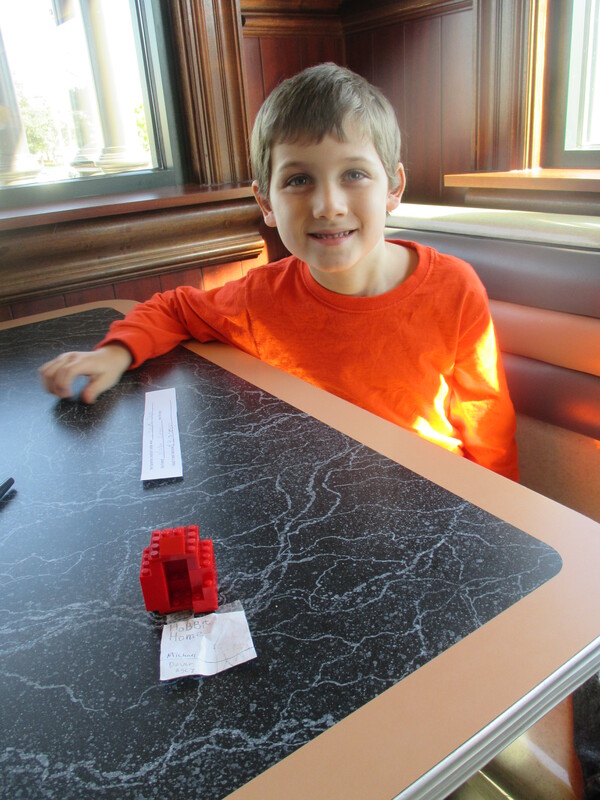 We went to our first local and physical Lego club. We still do a separate online club. The theme was monochrome. Michael made a Hobbit house out of red Legos. Then he presented it to the group. At the end people voted for their favorites. Michael and I did a bit of foraging for edibles. We never actually ate any of it but we found a wild nut and dandelions. 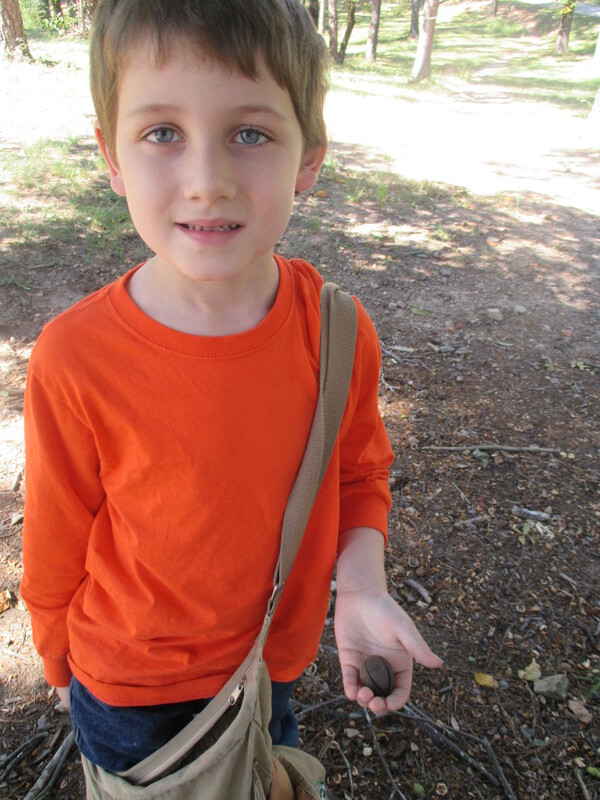 We learned that it’s hard work foraging and that we need to be thankful we can still go to the grocery store. I showed you a pic of Chester in the pumpkin on Sunday. I had to show you another one. 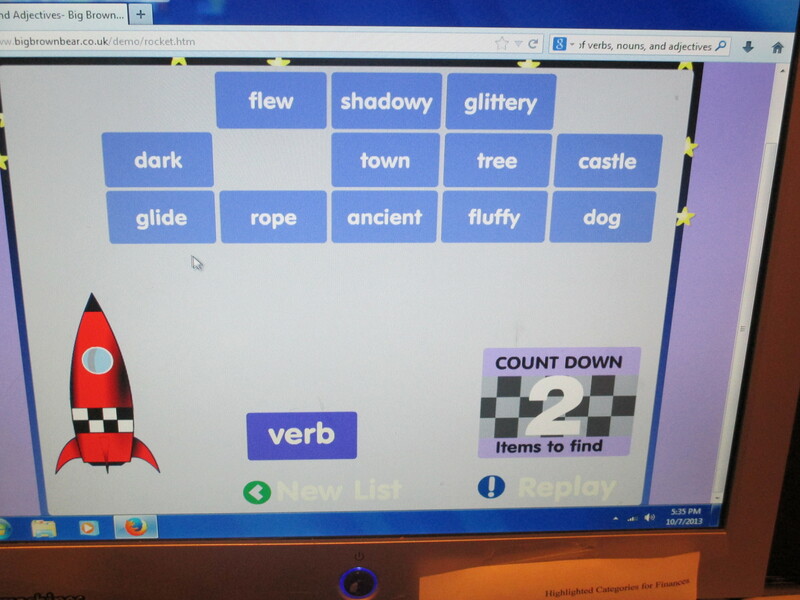 We’ve been reviewing nouns, adjectives, and verbs. 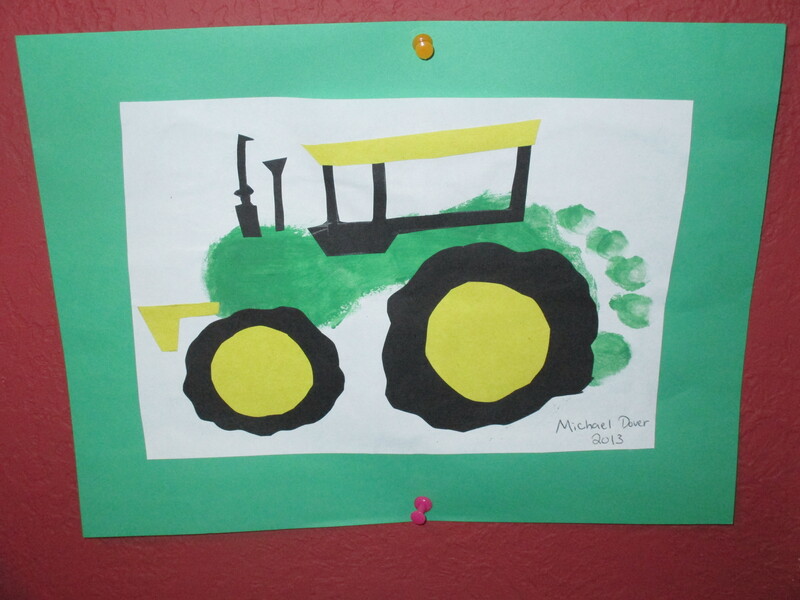 Michael does well with book work but he sometimes forgets what he’s learned. So I really wanted to get these parts of speech cemented in his brain. So we got super focused this week and very hands on. I had this fun Fall leaf idea. 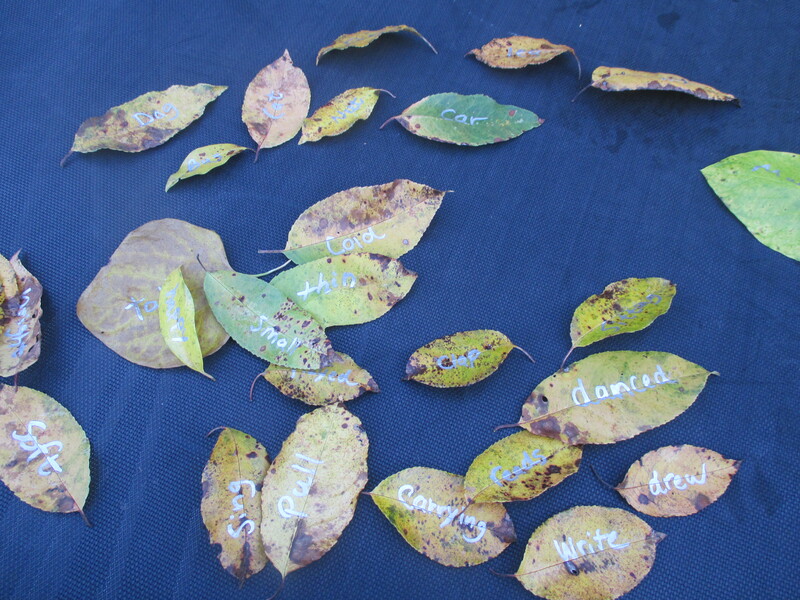 Fall Leaves Parts of Speech ~ I took a silver Sharpee and wrote words on leaves we collected. 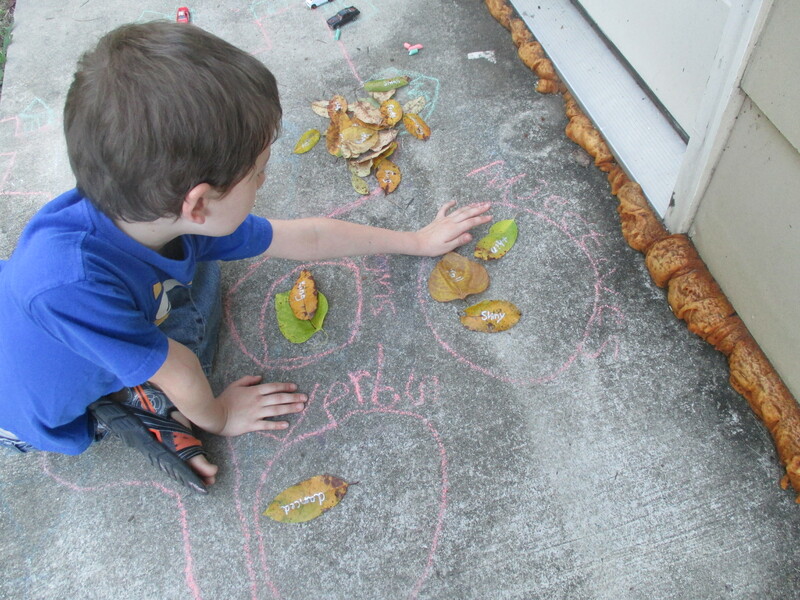 Then I drew three circles with chalk and had Michael sort the words into nouns, verbs, and adjectives. Then I had him make up sentences with the words. Michael really excels with computer games. He played a parts of speech game online. 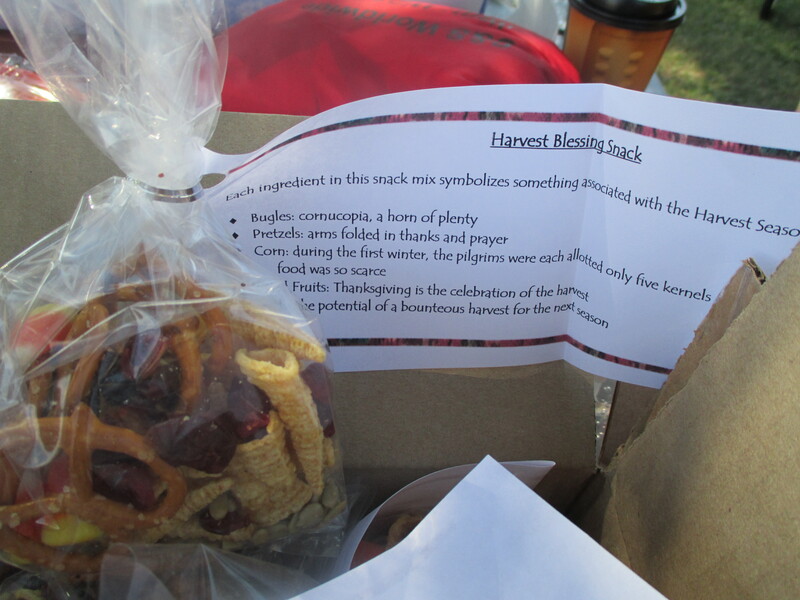 My friend Stacie brought a Harvest snack. 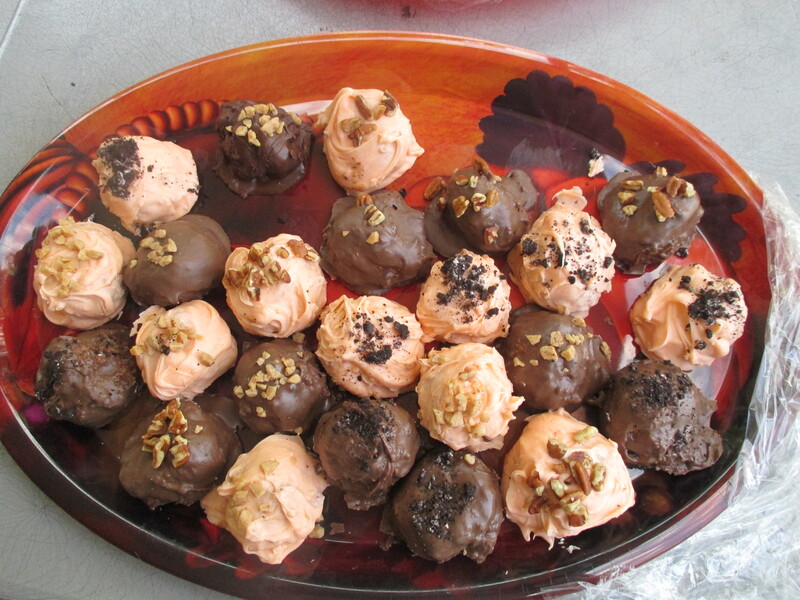 Each treat in the mix represented something from the Harvest. It was cute. 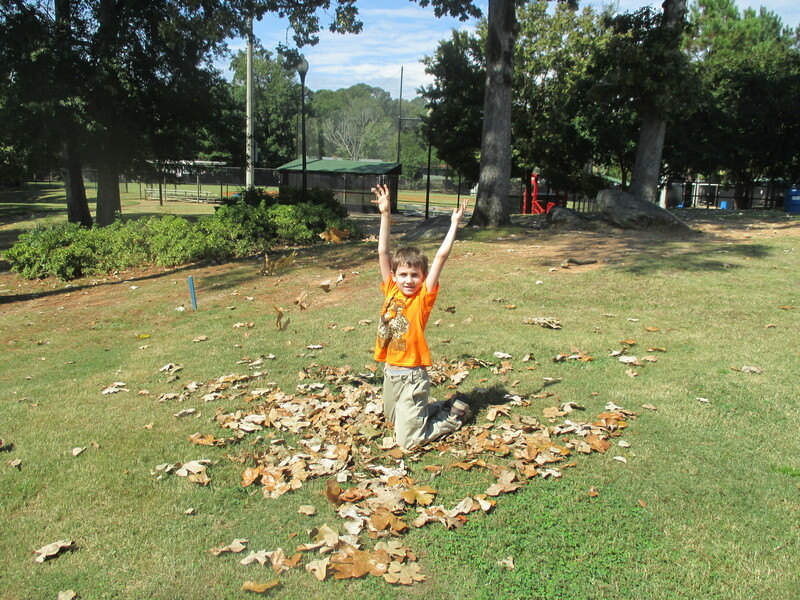 There was a pile of leaves so we had to take that photo opportunity. 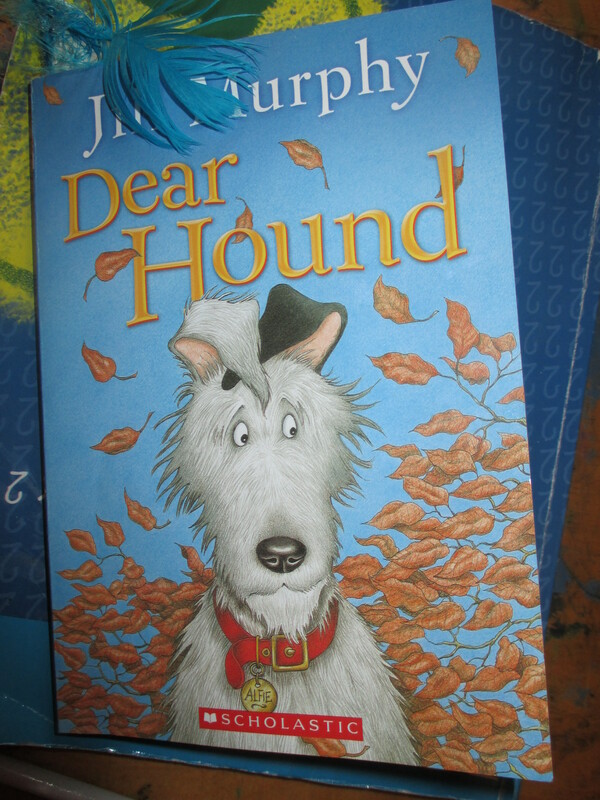 Here’s a Fall book that Michael read the first week. 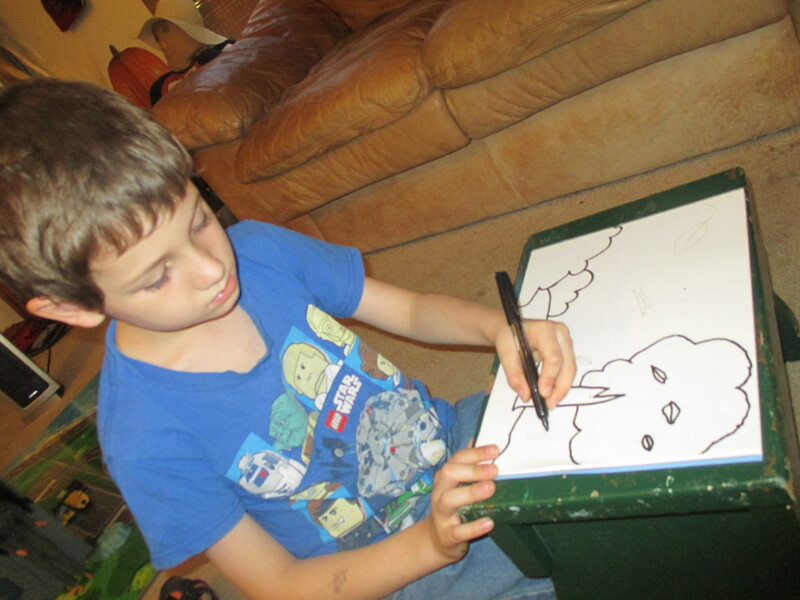 You can’t see this pic well but Michael has really been using his old drawing books. 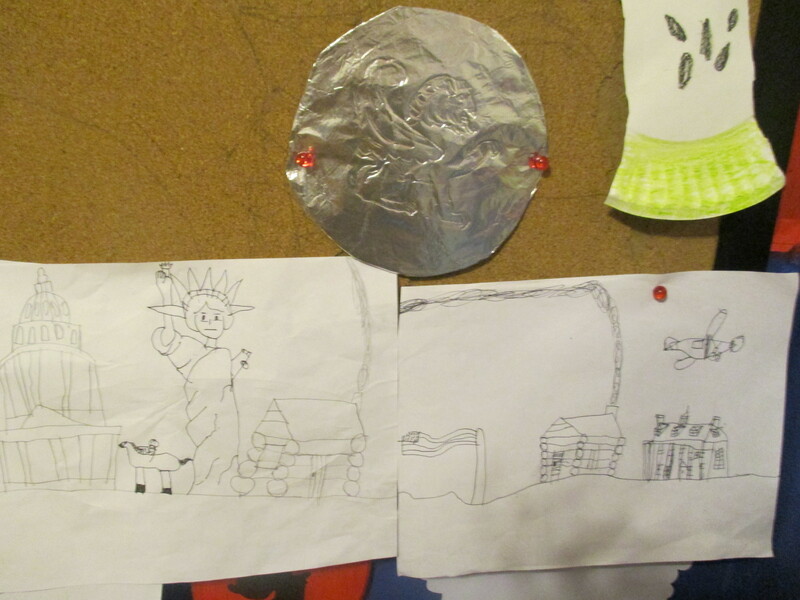 He’s got a picture of the Capitol, the Statue of Liberty, The White House, and a log cabin. 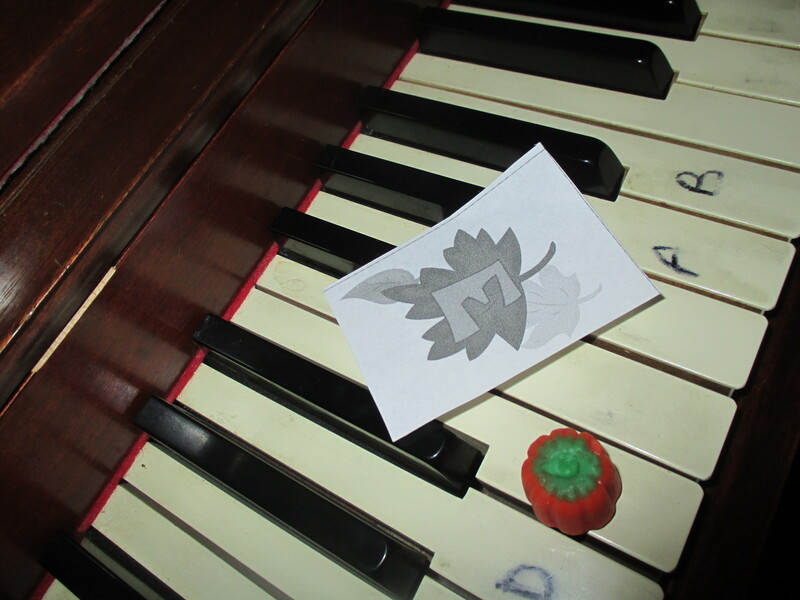 We played this great pumpkins and leaves music game. 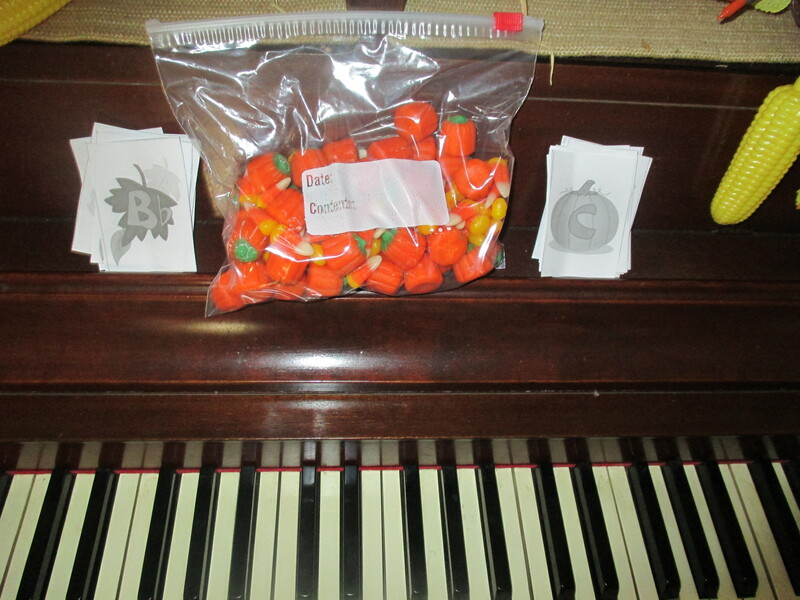 I modified the game just a bit by using candy corn. 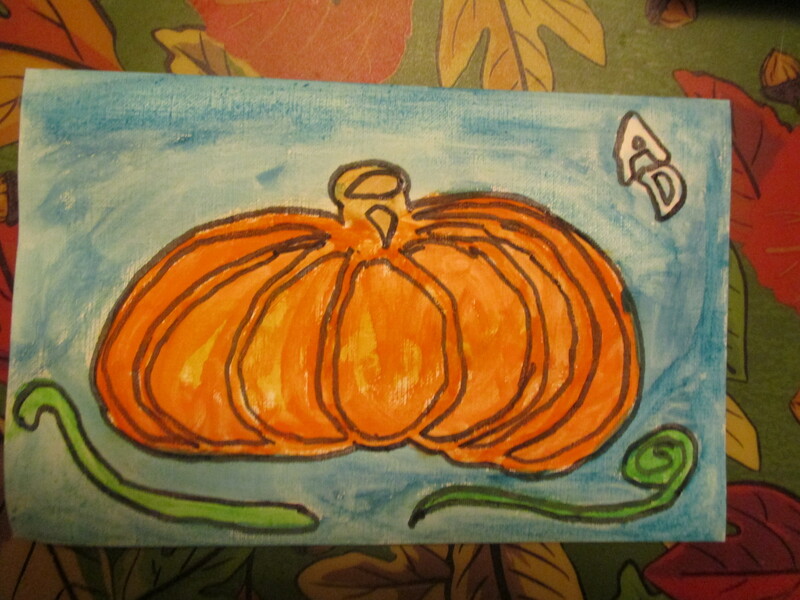 Michael had the leaf cards and I was the pumpkins. We each had a piece of candy corn for our game piece. We started at the opposite ends of the piano. The object was to get to the middle first. We took turns choosing a card and moving our piece to the right note. 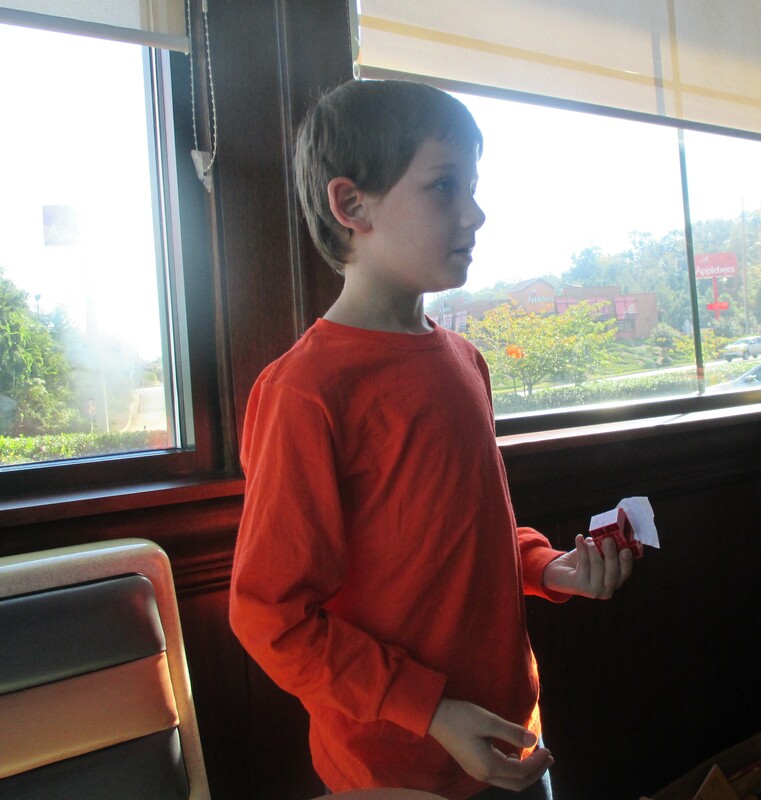 The prize was more candy corn. 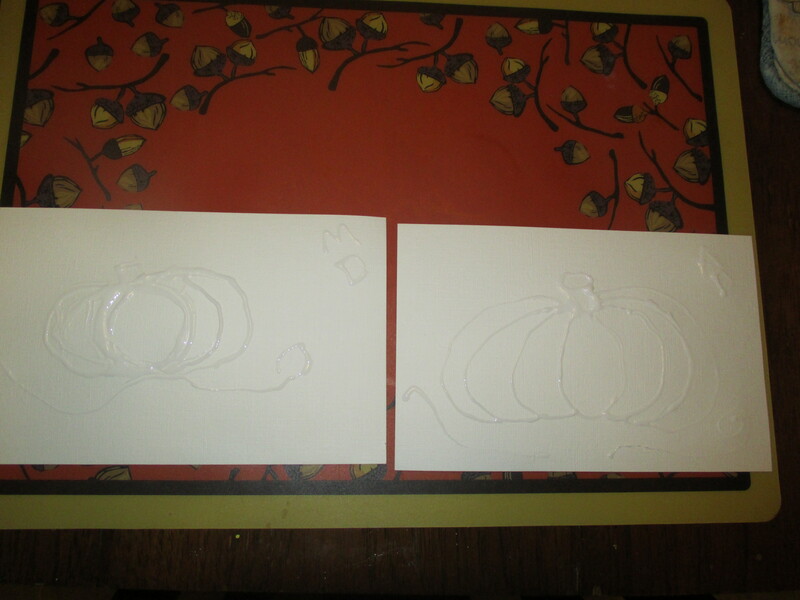 We both made these glue line pumpkins. You can find most of these crafts on my Pinterest. 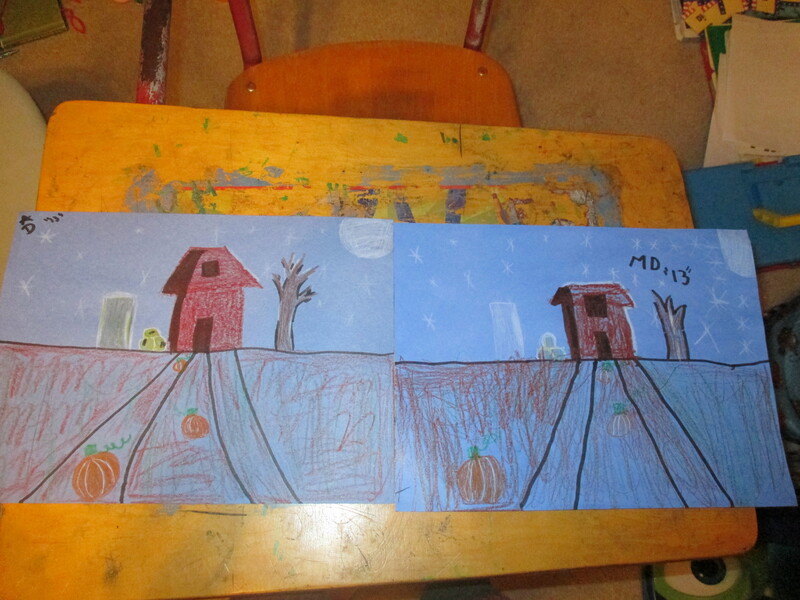 You can barely see the glue but this is how they looked after we drew our pumpkins with glue. Then we traced around the glue with a black marker. 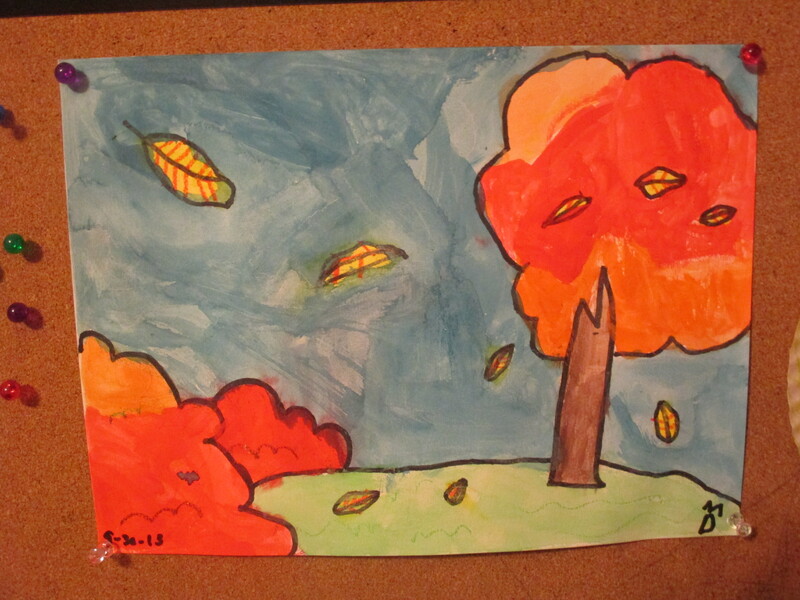 Then we painted with watercolors. Here’s my pumpkin. 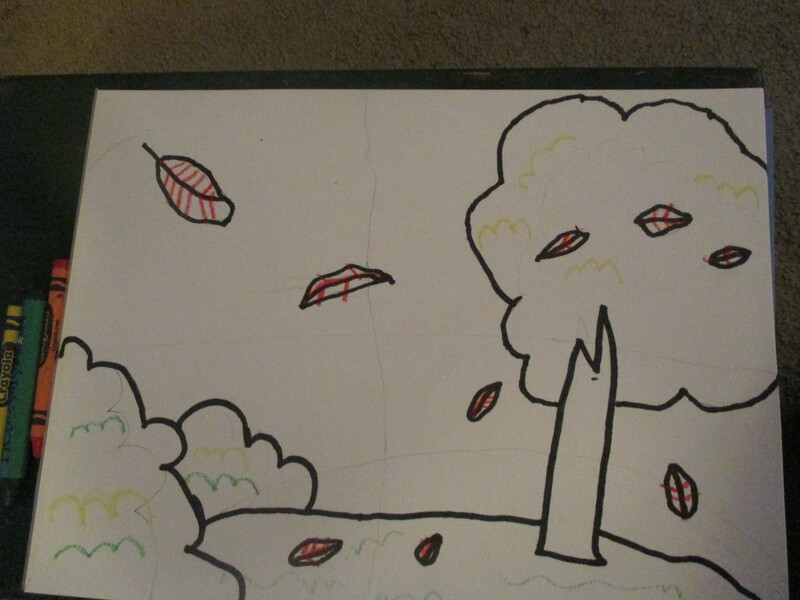 We saw this great Fall landscape picture online and made our own. Mine is on the left and Michael’s is on the right. We learned about perspective, shadows, and lighting. The second week our homeschool group was hosted by my buddy Erin. She had a pumpkin day. 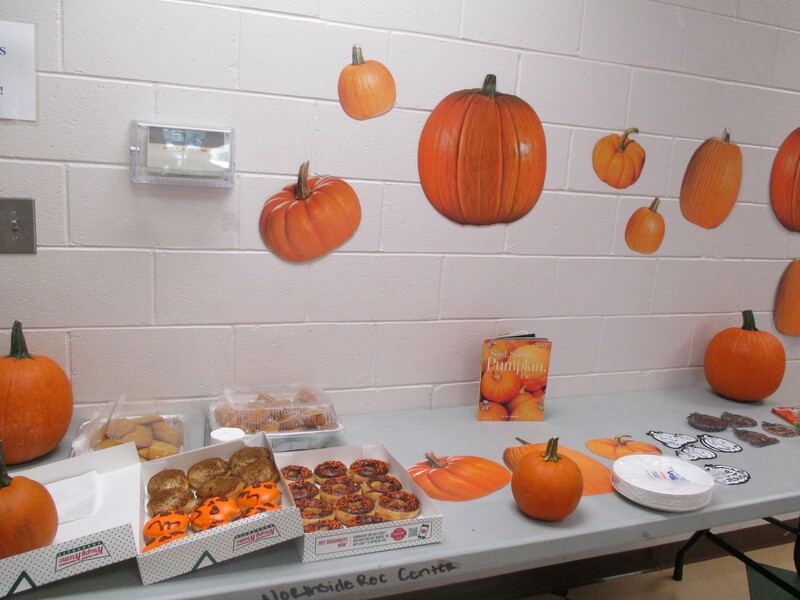 Yaaa for fellow pumpkin lovers! 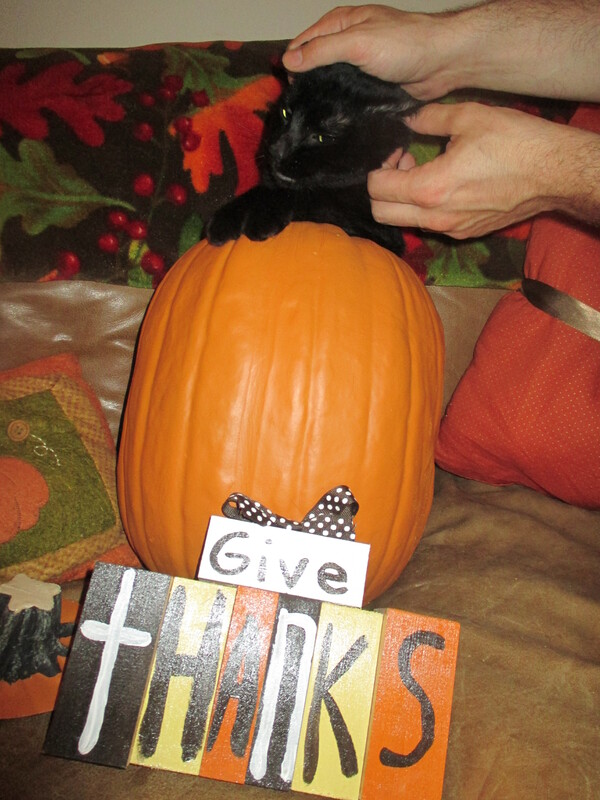 We had pumpkin treats. 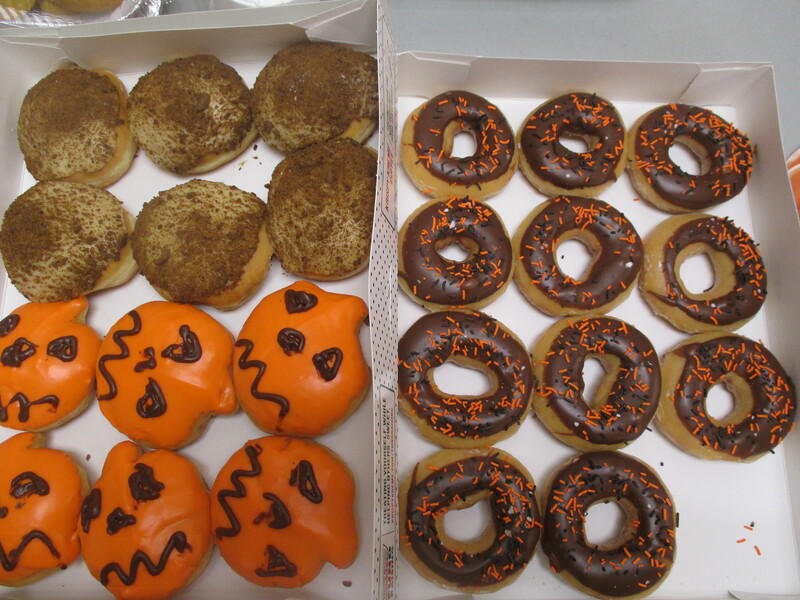 I really liked these seasonal Krispy Kremes. 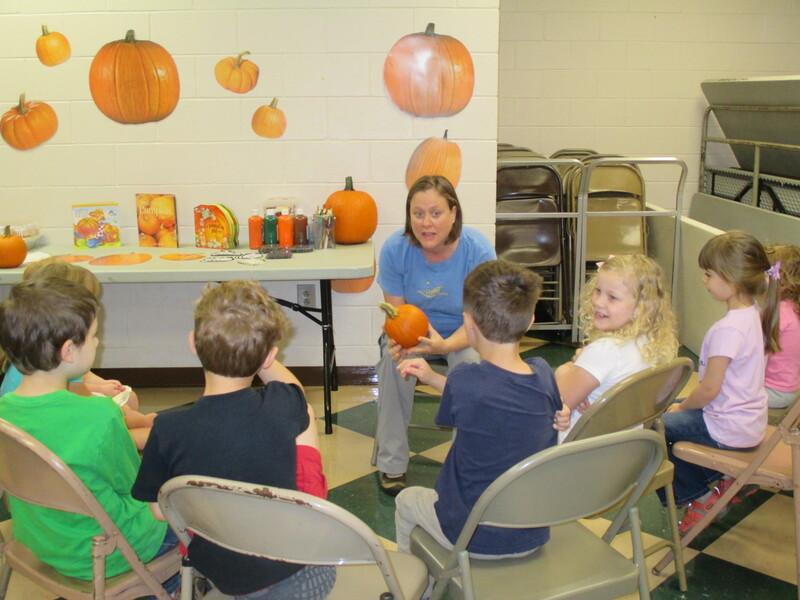 Erin talked to the kids about different kinds of pumpkins. 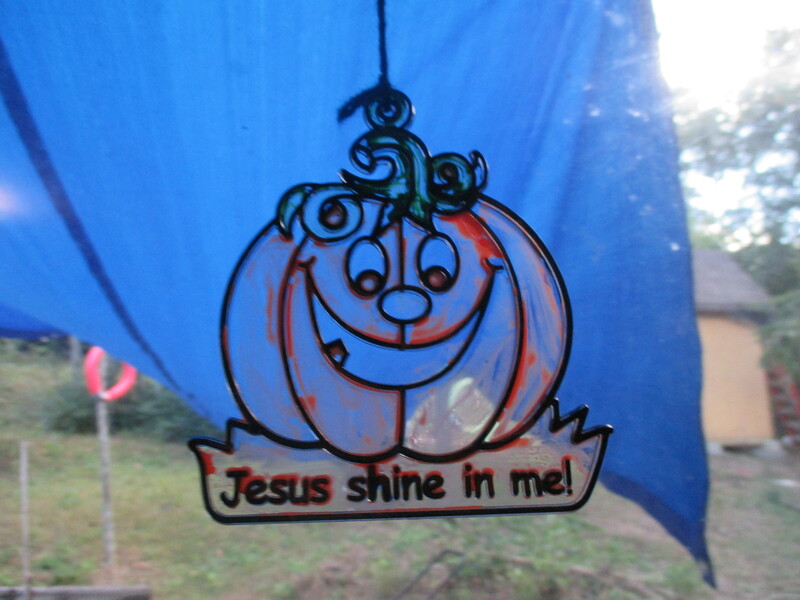 She read a pumpkin parable. 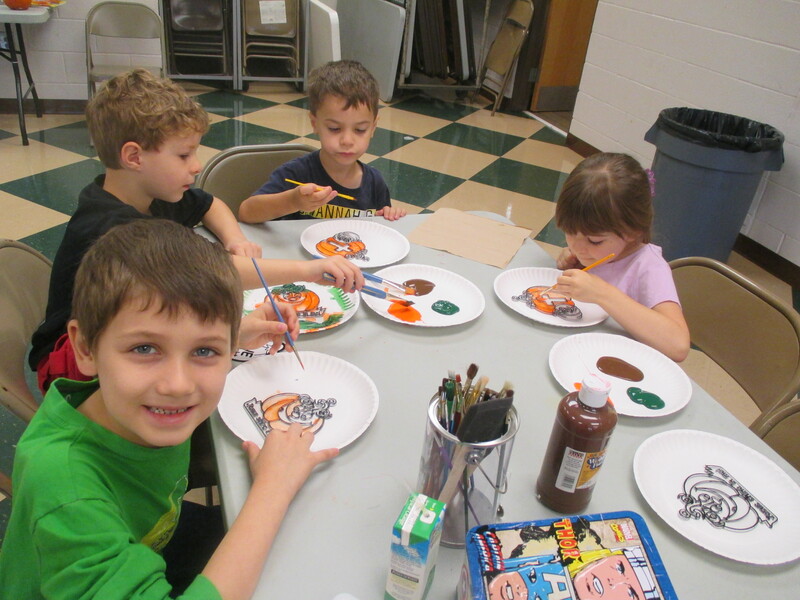 Then the kids painted and colored pumpkin crafts. 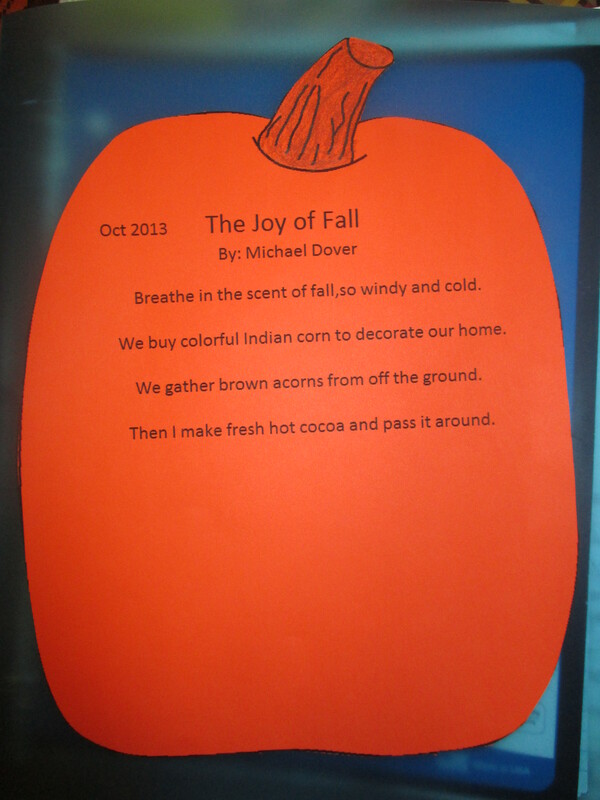 We had fun with Fall poetry. 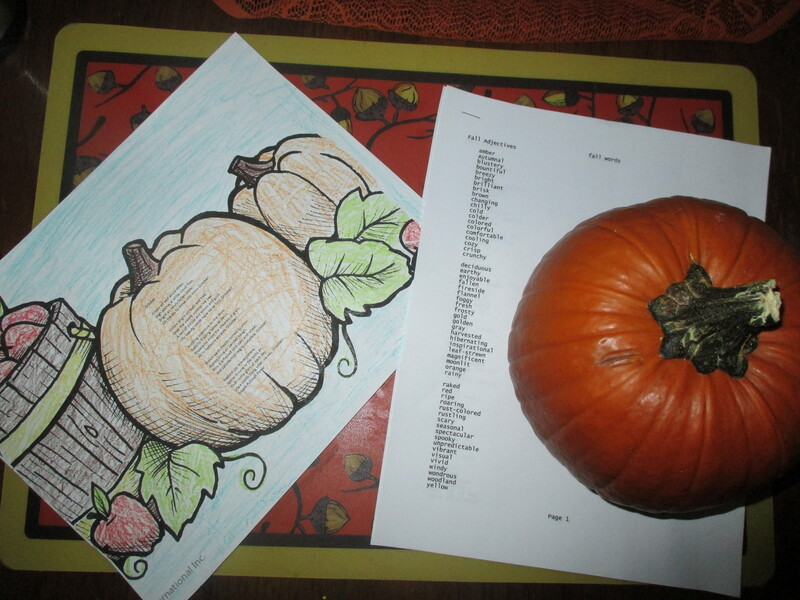 I read a poem about October. 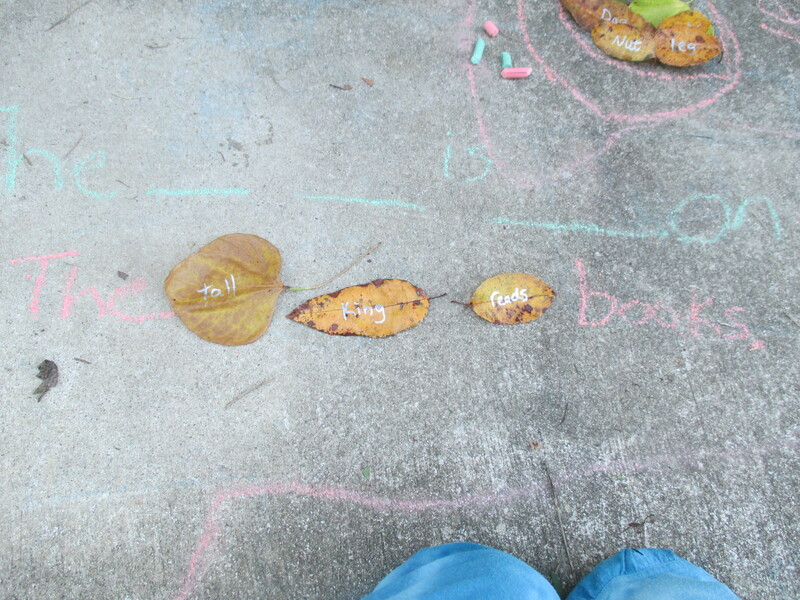 Then we looked over a list of Fall words (adjectives, verbs, and nouns of course). I had Michael choose four Fall nouns. 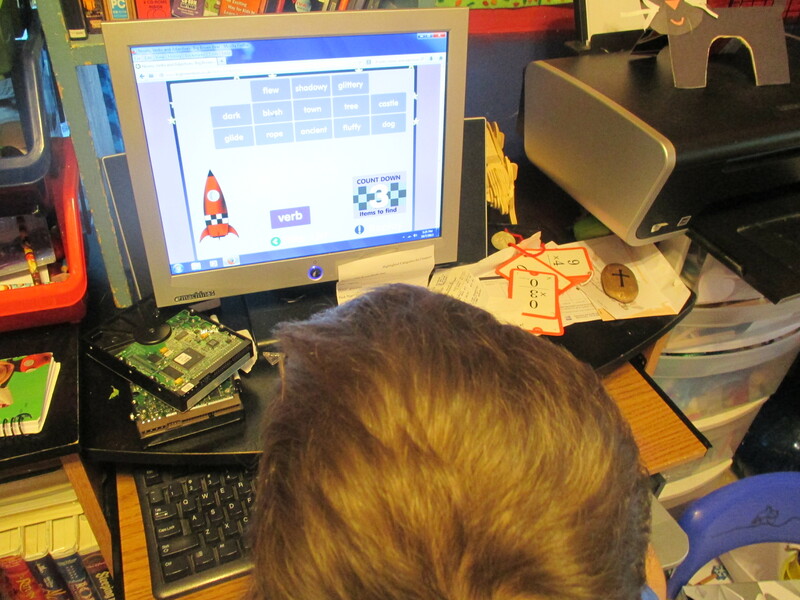 Then he chose adjectives and verbs to go with them. 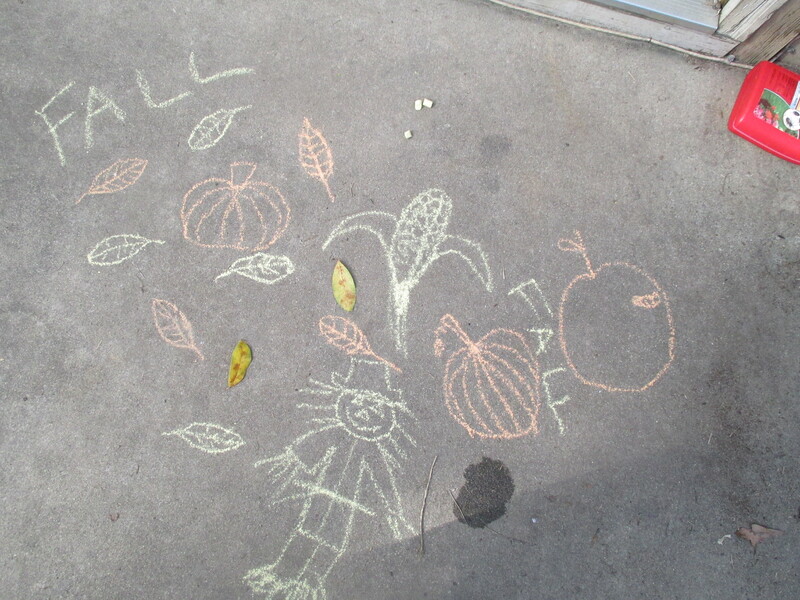 We worked together to form a Fall poem. I had Michael write his poem in his journal. Then he typed it and we printed it out. Lastly, we’ve been spending a good bit of time reviewing multiplication. 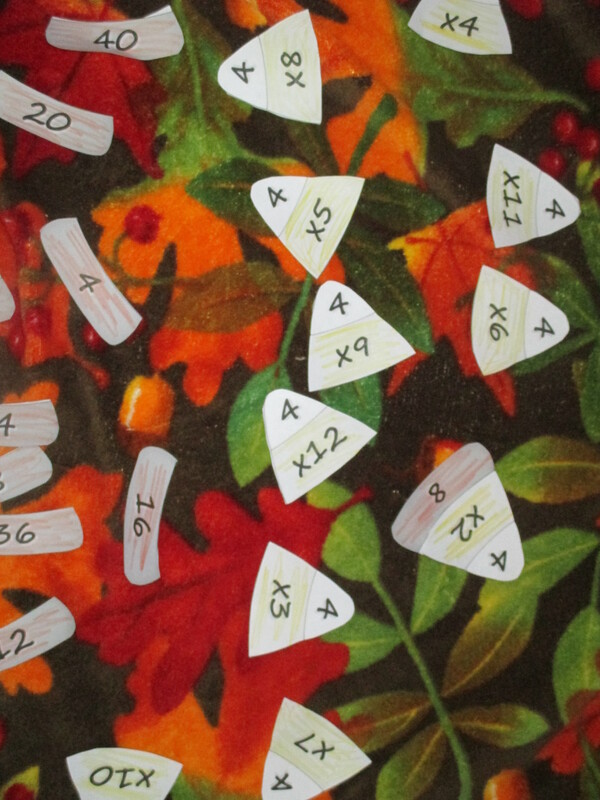 I found this neat candy corn multiplication game. We also used real candy corn to form groups and to make an array. Next Next post: Inspirational Wednesday: What Do I Know of Holy?